It is now more than a month since Janet drove from Scotland to Cheshire to tell me face-to-face what she believes happened to Fred in March 1976. 11 am – I call Janet. She tells me she can’t speak. She is in the back of a car on the way to Buxton Police Station. 2.50pm – Sergeant Martin Woodward of New Mills police station contacts me. He would like to send an officer to see me. We arrange Saturday. I spend the next few days wondering if I’m going to be arrested too. I was fascinated by this story from the beginning. There were times when I held my breath whilst reading, but I honestly could not put this book down. Told in a matter-of-fact but hugely readable way. DC Lindsey Wilkkie calls to confirm that she will be coming to see me that morning. She arrives at the house at about 11.30am with the intention, she says, of staying for three or four hours. In fact she doesn’t leave until 9pm. I have Janet’s original manuscript and I have my draft manuscript. I am asked to hand over both. DC Wilkkie’s questioning is thorough. She knows what she wants to prove and she is working towards that – it just takes me a little while to realise how her mind is working. She focuses on the idea of Janet and I are working together to make money out of a fictional story, rather than writing a true account of Janet’s life. She also tells me that Janet is refusing to answer any more questions. I want to impress on DC Wilkkie how important the psychologist, Dr Belinda Browne-Thomas’ role is in all this. I point out that the day last year when Janet recalled what had happened to her almost 40 years ago, she was with the psychologist for five whole hours. Dr Browne-Thomas called an ambulance during this session. Was this because Janet was so distressed she was unable to come back to the present day? Wilkie then says a curious thing: she says I only have Janet’s word that she was in the consulting rooms for five hours. How bizarre! That comment gives me some insight into how the police’s mind works – the fact they could even think that Janet could make something like that up. I point out that a good, accredited psychologist would keep records; haven’t they checked Dr Browne-Thomas’ records? It’s at this stage that DC Wilkkie mentions that they are only allowed to hold Janet for 72 hours if they are not going to charge her. This means that at 8pm, if nothing is found at Ball Beard Farm, Janet will be released. “The brain is capable of allowing you to forget and deny that something has happened.” Those are the words of Dr Browne-Thomas after Janet Holt’s most traumatic counselling session and are pivotal to this whole story. The book had me hooked from the first page; I couldn’t put it down. 9pm – DC Wilkkie asks me what I think. I ask her what she thinks and she tells me she doesn’t know; she doesn’t know if Janet killed Fred or not. I know I shouldn’t but, I take a call from Janet. As soon as I speak to her I know she’s OK. She tells me she has to report to Wilmslow Police Station every day until 20 December. “They’ve trashed my caravan,” she says. “And confiscated everything.” Not that there’s much to confiscate. She also tells me she was interviewed continuously until 4am. Janet’s solicitor eventually instructs the police to stop; the questions are simply not relevant to the investigation. “They say I’m doing all this to get a book published,” says Janet, incredulous. “And that it’s all an act. I told them I must be a good actor then, keeping it going for 34 years.” They also ask Janet how much she thinks she will earn from the book: £1m, £2m? She tells them (no doubt keeping a straight face) that the last time we calculated, we’d made about £1.80. When you were first contacted by Janet, before meeting with her, did you have questions or did you accept what she had said as truth? At what point did you make the decision one way or another? Hi Kierri, thank you for getting in touch. 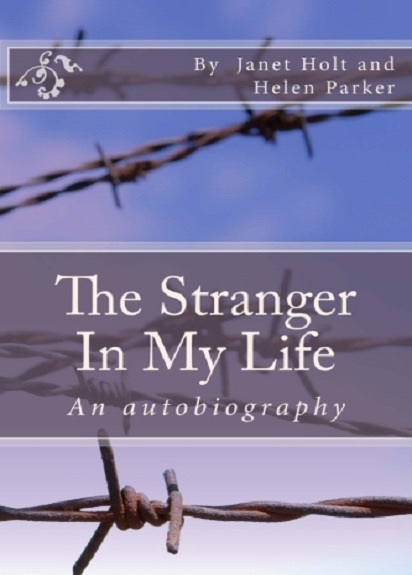 I don’t know if you have read our book, The Stranger In My Life, but, chapter by chapter, in sets out in real time what happened more than 40 years ago and more recently, eight years ago. When Janet first contacted me, she sent me a manuscript which mentioned Fred Handford’s disappearance in one paragraph. The rest of the 70,000 words first draft was simply a life story full of amusing anecdotes about her life spent farming in Derbyshire as that was the sort of book she wanted to write. I persuaded her to seek professional advice from a psychologist in an attempt to fill in the huge gaps in her memory and subsequently rewrote the story once the truth was revealed, following the EMDR therapy. And once Janet realised the truth, she went to the police to confess. The irony is, once she told the truth no one believed her. Before the therapy – and before she realised what had happened to Fred – both the police and some members of Fred’s family suspected her of having killed him. We thought the TV was a good representation, but the book goes into more detail. I hope that helps.